November 19 Valve has responded to negative feedback over Artifact’s monetization with a blog post detailing some changes it’s making to Artifact over the course of the beta. 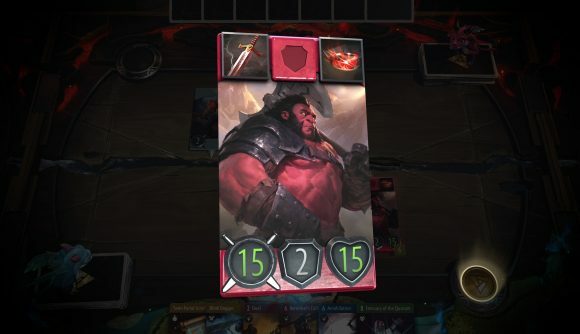 Artifact’s beta begins today, with the game set to officially launch November 28, but some potential players are already upset about the planned pricing scheme for Valve’s forthcoming CCG. The major complaint, it seems, is that there are very few ways to earn cards by simply playing the game. After the initial buy-in cost of $19.99 USD, each additional pack of cards costs $2. To earn packs in the game, you can’t play Artifact in casual competition. Instead, you have to play in expert, which costs tickets, and to get tickets beyond the initial five you get with the base purchase, you’ve got to spend money on ticket packs. In a thread that’s received around 2,600 upvotes, user Ac3Zer0 explains their frustration with the pricing scheme. “Here are the ways to get cards,” Ac3Zer0 says. “Pay 2 dollars for a card pack, pay for cards on the market, or play expert. Every time you play expert you have to spend a ticket, which is a dollar” since a pack of five tickets costs $4.95. “So to play constructed, NO MATTER WHAT, you will have to spend money (to get cards), to play draft NO MATTER WHAT, you have to spend money (for tickets),” Ac3Zer0 says. What’s more, some of the cards you can get in packs are essentially useless. Heroes that everyone gets in the starter edition are included in the pool for purchasable card packs, it seems. You can’t have duplicate heroes in your deck, and since everyone has those cards, they’re essentially worthless on the Steam market. Dustin has been playing Artifact as he finalises his official review, and he says the starter edition he opened for his pre-release copy included four duplicate hero cards – which he now can’t use. However, he told me that having starter heroes in the card pool could be useful for Artifact’s draft modes. Valve says it’s making changes to Artifact’s draft modes by giving players a couple more options: First, the company says a future beta build will include the option to draft with friends by selecting the Call To Arms Phantom Draft in user-created tournaments. Second, a new Casual Phantom Draft gauntlet to Casual Play is coming to Artifact, so that players will be able to practice their draft strategies before staking tickets on their chances in the game’s competitive draft. Lastly, Valve says it’s going to give players something to do with duplicate starter heroes – soon, there will be the option to recycle these into event tickets, which can be used to (ideally) earn card packs. That feature will be added by the end of the beta period. In the meantime, here’s how to play Artifact, some of the best cheap Artifact decks, and, if you want to dive deep into the game’s mechanics, all the Artifact cards announced so far.